In order to manage what could become a huge type of gemstone list-I've tried to sort my rock and mineral information in obvious categories: my quartz category is for quartz, rose quartz, smoky quartz, etc., but I have agates and jaspers each separate because there are so many varieties. All other types that didn't really fit into an obvious category, I have listed on this page under Other. Please see the list to the right and click on the rock or mineral name you are interested in. 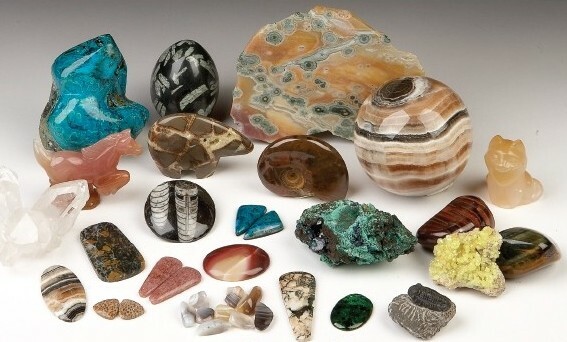 You can always just type what you are looking for into the search box above and then click on the 'News & Information" tab to get to the page that gives you the most details about that type of semi precious gemstone or mineral. For obvious reasons I try to post information primarily about the minerals, rocks and fossils that I sell on my website. As this list grows I may have to rethink my origanization! Thank you for your interest and Happy Hunting!